Ayesha Ryder is an antiquities expert. That sort of occupation is not likely to lend itself to becoming involved in international intrigue, unless the person was operating in the gray or black market which Ryder is not. She is, though, well-known enough to be called upon by rich and powerful people for her expertise in her field and this can sometimes throw her into situations that require some of her other talents to survive. Survival is something she knows a good deal about. Ryder is of Palestinian descent and it was in that war region that she was born and spent the first decade and a half of her life. Her family was a simple one - farmers trying to eke out a living in the unfriendly terrain. Then the military conflicts drastically interrupted that life and staying alive became a challenge. Still, she tried to stay 'normal', attend school, live as the young child she was. The fighting escalated. Her sister became collateral damage and her world ended. She started attending a new school which taught her how to fight back. She learned well. For two years after her training ended she was a very effective member of the Fedayeen. Then she was captured, tortured, and worse. Still, she survived. Eventually she would leave that land to go to live with her aunt, a wealthy woman living in London. Life changed for her. Her previous schooling resumed and she earned a doctorate. Her studies brought her new contacts and her intelligence and experiences brought her a good amount of acclaim. Over and again she showed that she knew the Middle East and its histories and its triumphs and tragedies. More importantly, she knew its peoples. Now in her 30s, Ayesha Ryder is a rising name in her field sought for her knowledge and her insight. She is also the same woman who endured a lot and learned how to survive. She has not forgotten. The murder of a prominent scholar in London is connected somehow to an upcoming announcement between Israelis and Palestinian leaders. 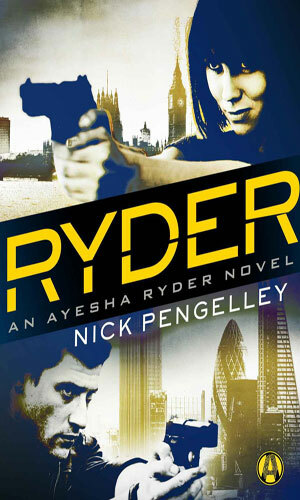 Ayesha Ryder is called in by the police to lend her expertise in the case and gets involved in a strange case that joins the Middle East strife with a royal secret. A clue to treasure looted from Washington, D.C. during the War of 1812 costs a British curator his life. When Ayesha Ryder gets interested, she also gets framed for his murder. A man who should know said with his dying breath that the fabled Maltese Falcon was real. 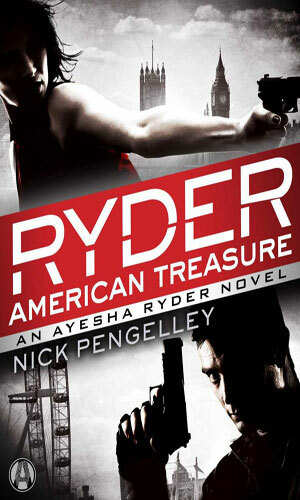 Ayesha Ryder is intrigued enough to look into it but others would prefer she not, including MI-5. 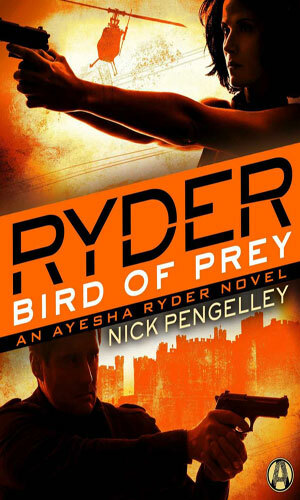 Ryder is a very interesting character and a lot of fun to follow and the author did an outstanding job of letting you see that from the very beginning - no trying to get a handle of who the woman is. In the first few pages, I got a quick sense that I would like her and want to know more and while learning more, got to like her even better. The writing is fast and easy, a true pleasure. The adventures are intriguing and good fun to read. Each has a premise that might seem just a tiny bit of "huh?" but quickly becomes "oh, yeah, I can see that." I hope we have not read the last of Ms. Ryder.